This entry was posted in Homepage Row 2 Middle on June 1, 2013 by swsupport. This entry was posted in Homepage Row 2 Left on June 1, 2013 by swsupport. Customers will enjoy a close working relationship with our sales and construction personnel throughout the purchasing, construction and warranty process. At Charleston Homes, we value the relationships we have with our employees, contractors, and most importantly, the people we build homes for. Because of these relationships, each of our customers will experience the best home building process in Omaha. Our relationship extends well beyond the completion of your new home. We want to make sure that living in your home is more delightful than you’d imagined. All of this creates an enjoyable building experience. Here is our 10 step process to ensure you have the home of your dreams. 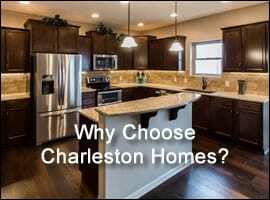 Charleston Homes has 7 floor plans. 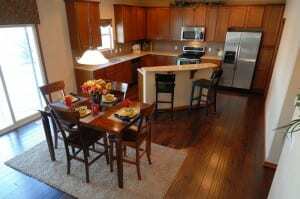 Depending upon your budget, we know that you will find one of our floor plans to fit your needs. We have relationships with Omaha’s top lenders, whom we are confident will be able to assist you in purchasing your new home. A pre-approval allows you to establish your new home budget. 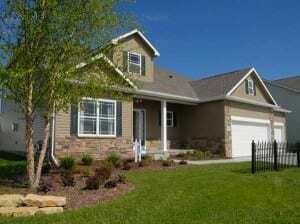 Charleston Homes can build in custom neighborhoods all over the Omaha Metro area. We even own lots in several sub-divisions for you to choose from. Each of our sales associates are experienced in helping you find the right lot in the right neighborhood. Your new home will be unique. 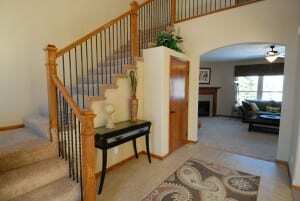 You to personalize your new home, depending upon your taste and budget. Choose from a number of exterior and interior options to fit your needs. 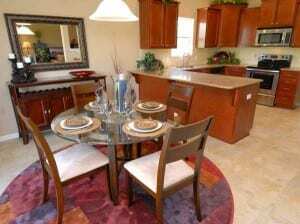 The purchase agreement will specify floor plan, custom selections and the price of your new home. Our experienced sales staff are here to guide you through the process. Before construction begins, the Charleston Homes Production Manager will guide you through the entire construction process. At this meeting, you will meet your Superintendent. You will visit your selected lot before reviewing all of your custom selections. Sit back and let us do all the work! 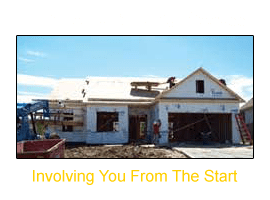 From the products we use, the way your home is designed, the scheduling and daily site inspections, we have the best home building process in Omaha. Our sales staff will update you continuously on the status of your home. When your home is near completion, we will take you on a room-by-room tour to demonstrate the quality features and operating procedures for all aspects of your home. Any items from your New Home Orientaion will be completed and signed off by you, before you close. Closing on your scheduled date is something Charleston Homes takes pride in. 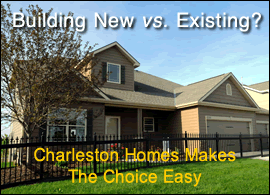 As you look back on the previous months, you will realize how easy and stress-free it was to build a Charleston Home! We stand behind what we build. Once you are all settled in, about 60 days after you’ve closed, we will check in with you to answer any questions or take care of any concerns you may have. The, eleven months after closing, we reiterate our commitment to satisfaction by again taking the time to handle any required warranty work, discuss concerns, or answer any questions that you may have. This entry was posted in Homepage Row 1 Right on June 1, 2013 by swsupport. You can personalize a new home the way you want! Why not build YOUR dream home? You get to pick the colors and decor to make your home exactly what you want, rather than accepting what someone else has chosen. Buying a new home will save you even more than you may realize when you consider the incredible costs associated with maintaining and updating a pre-owned home to meet your needs and tastes. After just five years, most houses begin to require costly maintenance and repair. The older the home is, the more it costs to bring it to “like new” condition. But that doesn’t include redecorating or making structural changes. Today, a lot will be built into a home that was not in years past. Energy efficiency and streamlined maintenance have evolved dramatically. And that, along with the level of comfort and satisfaction a new home brings, makes an enormous difference between what a home costs you, and what you get in return. You can save hundreds of dollars each month in utility costs! A new home is built with “current” building codes and standards. Each new home is inspected by a local, licensed building inspector, not just a professional home inspector, who cannot see what’s behind the dry-wall. These code requirements make your new home more efficient and safe for you and your family. 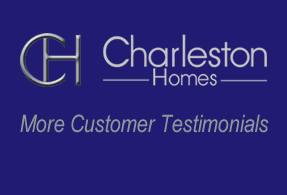 At Charleston Homes, we stand behind every home we build. We provide you an in-house warranty, so there won’t be unexpected costs to you for the maintenance of your home. This entry was posted in Homepage Row 1 Left on June 1, 2013 by swsupport.